Who do you play in "Weight"? 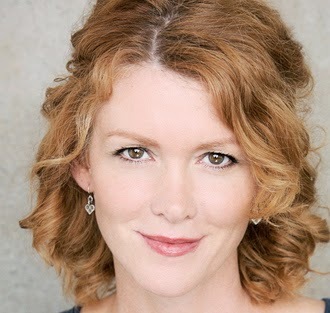 : I play the main character; Claire's, uptight, highly functioning, professional, thin and condescending big sister! Tell us about "Weight": "Weight" follows the journey of one woman's release back into her real world after she goes on a weight loss reality show, wins and loses 100 pounds. What is it like being a part of "Weight"? : SO fun!! I love the comedy. I love playing Martha Byrne's antagonizing sister! What kind of entertainment speaks to you? What or who inspires you as an artist? : Great theatre, and variety show comedy. Great theatre speaks to me. Musical or not. I'm amazed by a Tim Minchin or a Stephen Schwartz. How they translate a story into pieces so moving with melody and time. Also, a great play where people are really working through something. Where sometimes things are so painful you just have to laugh. I also love television. I always have. I'm up for anything; dark comedies, family dramas. I love a good Irish story or playing in a different time period. Any roles you’re dying to play? : I want a strong, alive character in theatre again. There's nothing like being physically free in that Live space. If you could work with anyone you’ve yet to work with, who would it be? : A mixture; the great creators of yesterday, and the burgeoning creators of tomorrow. Who would play you in a movie about yourself and what would it be called? : Shirley MacLaine titled "Life is so full"
What’s the most played song on your iTunes? : Probably everything on John Mayer's last album " Paradise Valley." What’s your biggest guilty pleasure? : A quiet space with Chocolate Sorbet and Mary Oliver poetry. What’s up next? : I'm writing a book of semi autobiographical short stories.